From early November through early January, you responded. 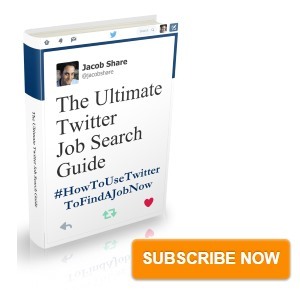 On November 7th, 2013, I asked you guys to Please Take The 2-minute 2013 JobMob Census. First off- big thanks to everyone who responded. And hopefully you responded right away, while others needed a lot of prodding and shoving a reminder or two (which is ok, since we're all suffering from email overload, right?). Google Docs' form features made the survey easy to set up, and all your replies were conveniently saved in a spreadsheet while the Summary of Responses feature quickly provided the easy-to-read graphs coming up below. In addition to each survey question and its results, I'll tell you what I was expecting, and as you'll see, things didn't always come out the way I thought they would. My expectation: roughly 50/50 split. 3. Which country do you live in? The actual result: no pie chart here. While there were answers from many different fields, there was a definite slant to the job search/recruiting/HR industries, even more than I thought. 5. Do you currently have a job? My expectation: one of the first myths busted after I launched JobMob was that you would leave once you found a job. Instead, as people told me when I asked, you're more likely to stay on, in part because I helped you get a good result and you might need my help again soon, or a friend will, or you simply want to continue enjoying the content. With that in mind, I expected that many if not most of the responses would be that yes, you do currently have a job. 6. Are you looking for a job? My expectation: yes, you are most likely looking for a job if you're here. Perhaps not actively, but you're open to newer, better opportunities than whatever you're working on now. 7. Do you have a personal blog? 8. On which social network are you most active? 9. How did you first discover JobMob? 10. When did you first discover JobMob? My expectation: I didn't have any. People subscribe all the time and I just wanted to see who was more likely to respond to the survey, newer subscribers or older ones. 11. How are you a JobMob subscriber? 12. On which device(s) do you read JobMob articles? 13. On which day of the week are you most likely to read a new JobMob article? My expectation: during the weekend. The census included 5 other questions, but they were all open-ended and it doesn't make sense to include all the responses here. That said, they will be very helpful moving forward as I try to improve JobMob for you. 17. Besides JobMob, what's your favorite source of job search information and why? Lots of websites were mentioned, but by far the most popular answer was: LinkedIn. This refers both to articles posted in LinkedIn groups and articles posted directly on LinkedIn itself. Which result is the most surprising? Which question would have you liked me to ask? Love to hear what you think in the comments. Thanks again to everyone who completed the census, from me and the entire JobMob Community. We'll do it again in the fall. 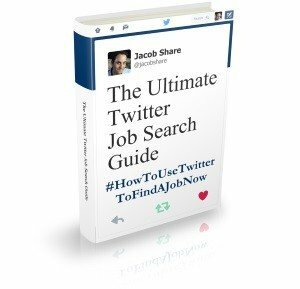 Subscribe to JobMob via RSS or email and follow me on Twitter for more insights about your job search sources of information. Previous PostIt’s JobMob’s 7th Birthday!